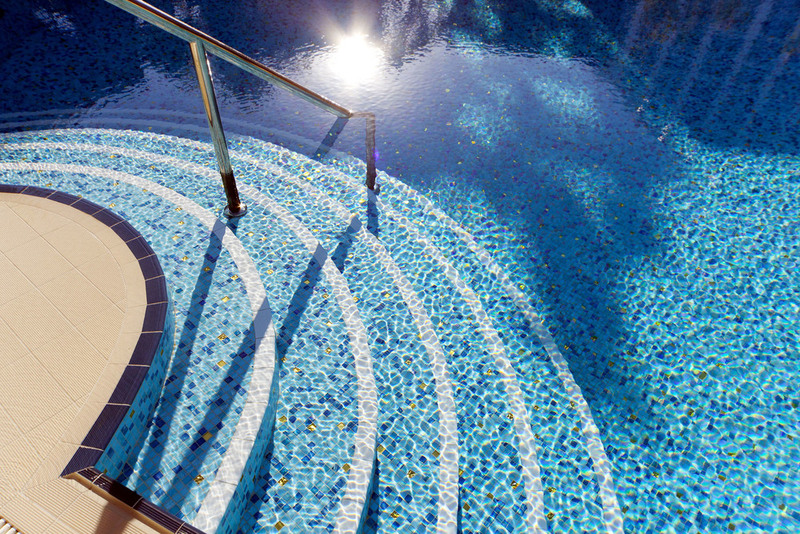 Designa® displays an extensive range of pool tiles in glass and porcelain to suit every taste and budget. 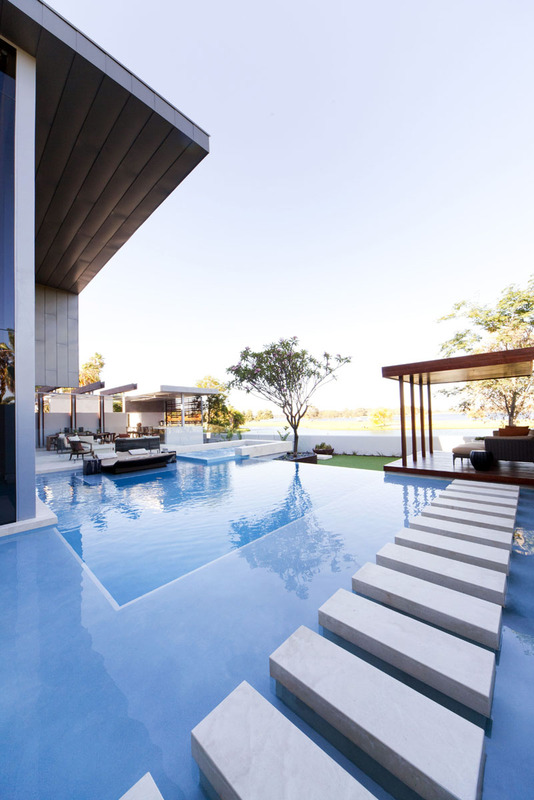 The exclusive TREND range allows pool owners to customise their pool tiles so that the blend of colours and patterns becomes a truly unique reflection of their own personality and design expectations. Come in to our showroom & have a look at the options! 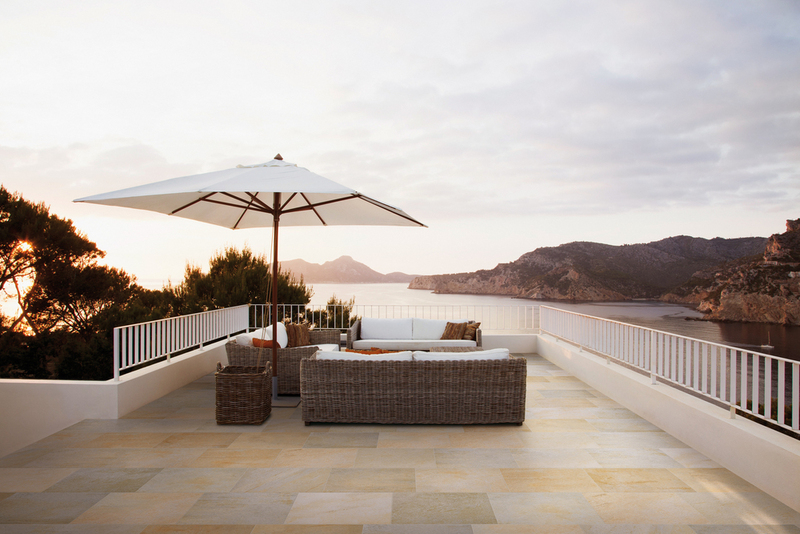 Designa® also stocks fully frost-proof exterior tiles many of which are "grippy" enough to enable users to be sure-footed in wet areas, but which aren't too grippy to be hard to keep clean. Exterior option include 2cm thick tiles suitable for use on deck jacks and supports. Huge range of standard and custom colour mixes available. See Designa for details. 600x600 STONEDESIGN Ash Chiselled finish. 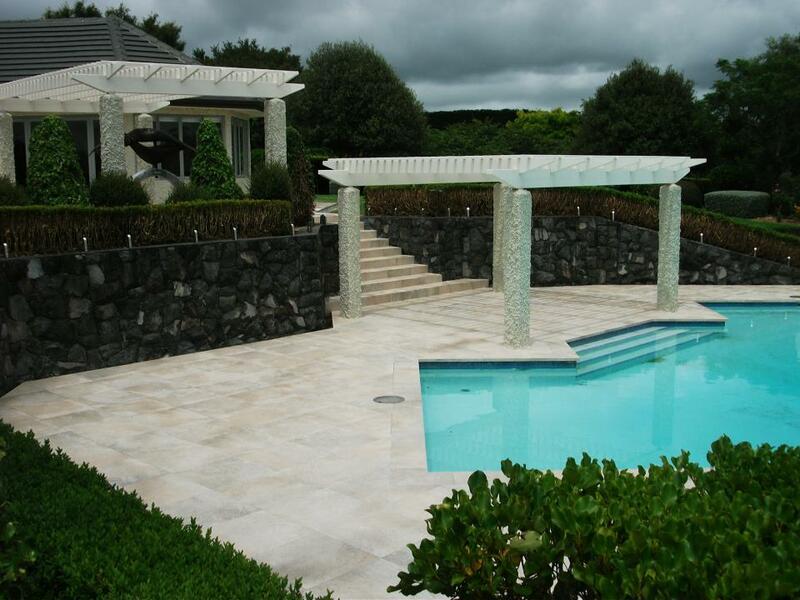 Porcelain version of a beautiful and famous Swiss grey & charcoal natural stone. Huge range of standard and custom mixes available. See Designa for details. 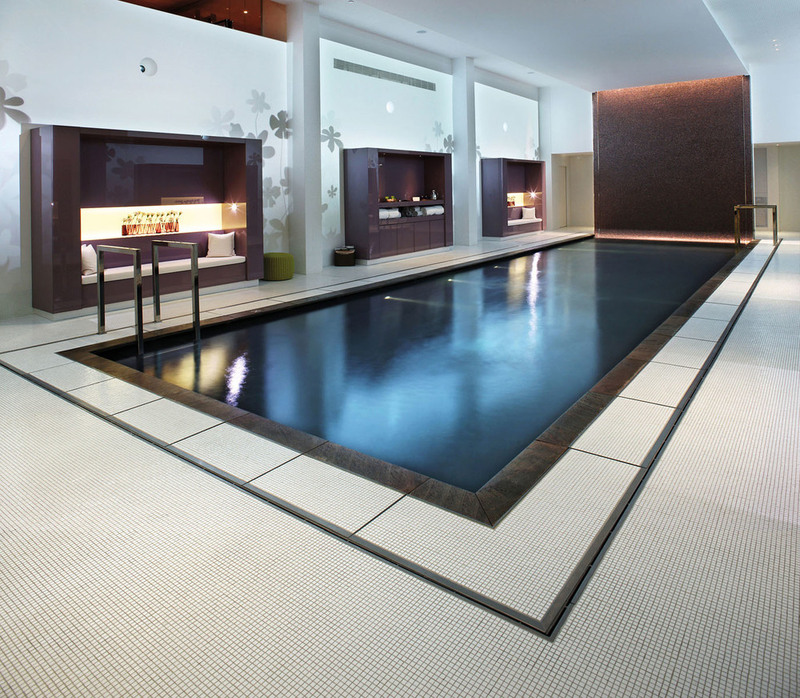 Glass Pool Tiles from Trend. 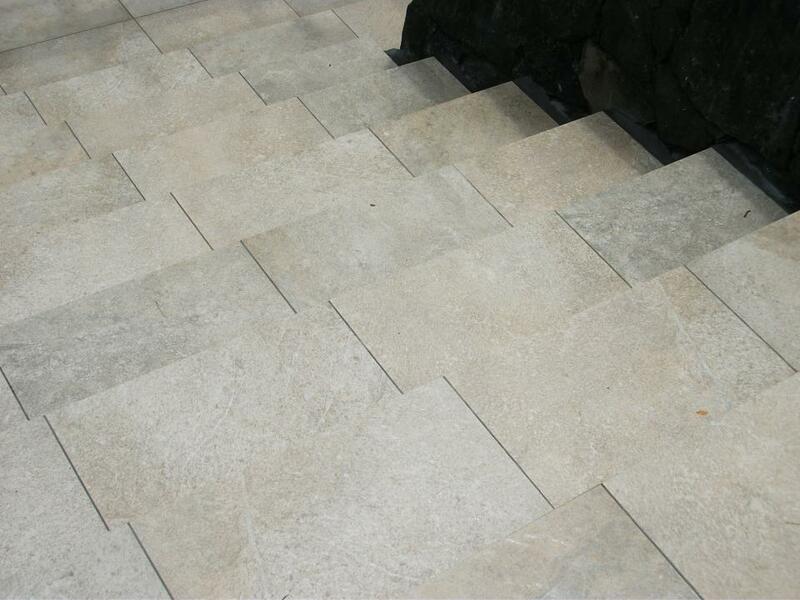 600x600 or 400x600 Pietra di Barge available in R9 (interior) or R11 (exterior) options. 600x600 Pietra di Coombe available in both R9 (interior) and R11 (exterior) options. R11 exterior version. Laid with alternating pattern for added interest. ORIGINE Almond modular floor using 150x150, 300x300, 300x450 & 450x450 tiles. Suitable for inside or out. Hi-tech porcelain with rustic charm. 600x600 BI-MIX Kashmir exterior porcelain. 300x600 Pangea Barge Giallo (indent terms). 450x450 PANGEA Barge Grigio (indent terms). The perfect farm-house look! Modular options & suitable for both inside and out. 600x600 BI-MIX Kashmir exterior porcelain. Beautiful! 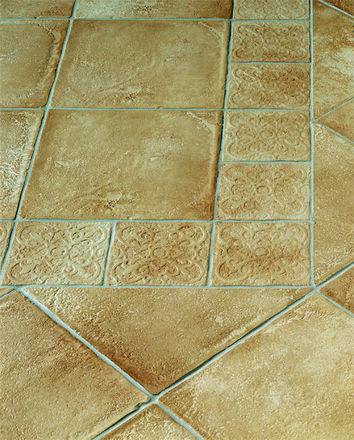 ORIGINE Beige modular floor using sizes; 150x150, 300x300, 300x450 & 450x450. Suitable for inside & out! Hi-Tech with a rustic look. BI-MIX Kashmir 300x600 steps using factory-made nosings. Suitable for inside or outside! ORIGINE Verde laid in a modular pattern using 150x150, 300x300, 300x450 & 450x450 porcelain tiles.